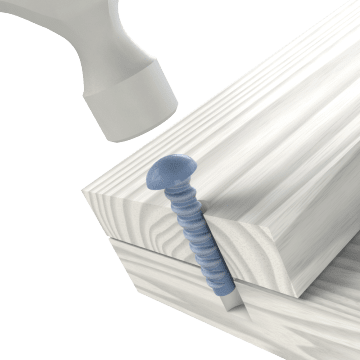 Get the tight hold of a screw with the installation ease of a nail. 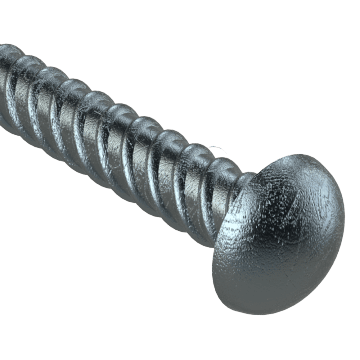 Screw nails are also known as U-drive screws and hammer-drive screws. Steel is the most common choice for everyday fastening applications. It is magnetic. 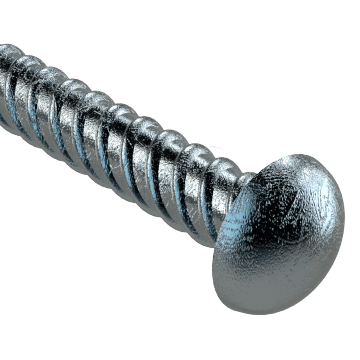 These have a zinc plating that provides mild corrosion resistance and a shiny finish in addition to the nail's screw-like hold.